Here are the cute Shaolan and Sakura from Tsubasa Chronicle. i wonder... how look syaoran and sakura... with gothic clothes....mmmm awesome... well.. ayeah.. greaat scan, thanks! Oh! They're really cute XD XD XD Nice Scan. Thanks for sharing. sakura's smile is the most adorable ever!!!! 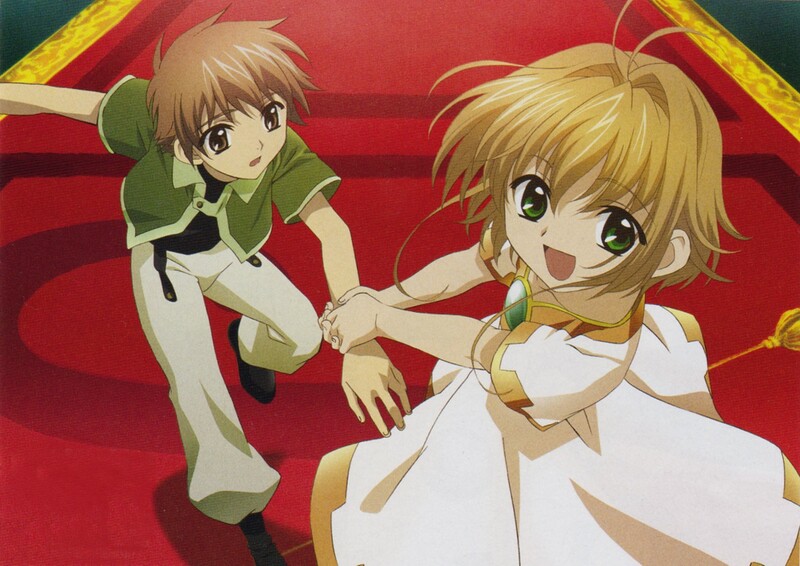 they really are the "kawaiiest couple,"
Chibi Shaoran and Sakura are too cute! I have to wait to add it to my faves, but I promise I will! awww...i am a fan of S+S and will always be ^_^ 4 words. that. is. so. kawaii. Aw, they really are a totally adorable couple. Hehe. They look so happy and cute! That's wonderful! Yay!! That's what it makes me want to say - Yay!